You’re working at a school and one of the kids is starting to act up. What would you do? Traditionally, the answer would be to give the unruly kid detention or a suspension. But as far as I remember, detention involves staring at walls, bored out of my mind, trying to either surreptitiously talk to the kids around me without getting caught by the teacher or maybe reading a book. It didn’t make me think about my actions, and it certainty didn’t make me reconsider how I might act in the future. All it did was make me feel like it was stupid & unfair that I was there. 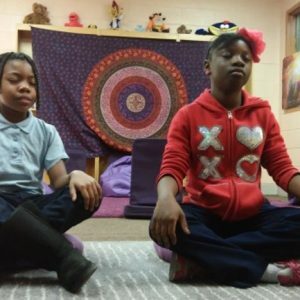 There is one school which is doing things differently, Robert W. Coleman Elementary School has been doing something else when students act out: Offering meditation as an alternative. Instead of punishing kids for being disruptive or sending them to the principal’s office, this Baltimore school has something called the Mindful Moment Room. This room is nothing like a traditional detention room. Instead, they have filled it with lamps, decorations, and plush purple pillows. 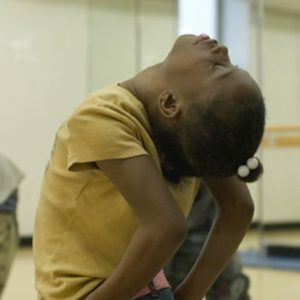 Misbehaving kids are encouraged to sit in the room and are shown practices like conscious breathing or meditation, helping them to calm down and re-center their emotions. They are also asked to talk through what happened. Mindful meditation has been a practice that has been used around the world for thousands of years. Recently, though, science has started to understand its effects on our minds and bodies, and it’s finding some very interesting effects. One study, for example, suggested that mindful meditation gives practicing soldiers a kind of mental armor against disruptive emotions that might distract them from their duties. It can also help improve memory dramatically. Another suggested mindful meditation improves a person’s attention span and focus. Science is starting to fully build up a picture of how beneficial and awesome meditation can be for everyone. Mindfulness has even become part of certain very successful psychotherapies. However, the Mindful Moment Room isn’t the only way Robert W. Coleman Elementary has been encouraging its kids to take a different path. For example, There was a Christmas party where kids knew they were going to get presents but were still expected to do meditation first. “As a little kid, that’s got to be hard to sit down and meditate when you know you’re about to get a bag of gifts, and they did it! It was beautiful, we were all smiling at each other watching them,” said Philips. The program has also helped mentor and tutor the kids, as well as teach them about the environment. 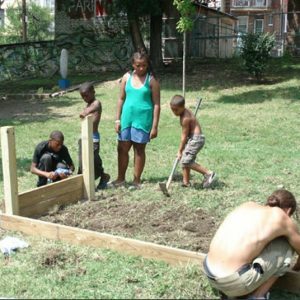 They help build gardens, clean up local parts and even visit nearby farms. Philips said they even teach kids to be co-teachers, letting them assist in running the yoga sessions. This was just the first school to implement such things. Lots of schools are trying this kind of awesome holistic thinking, and it’s producing some incredible results. In the U.K., For example, the Mindfulness in School Project is teaching adults how to set up such programs. Mindful Schools, another profit, is helping to set up similar programs in the United States. Oh, by the way, the schools are seeing a huge tangible benefit from this program too. Philips said that at Robert W. Coleman Elementary, there have been ZERO suspensions in the last year and so far this year. Meanwhile, nearby Patterson Park High School, which also has implemented the mindfulness programs, said suspension rates dropped and attendance increased as well. 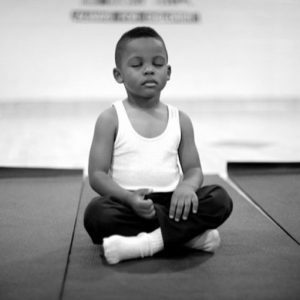 If this isn’t proof that practicing mindfulness & meditation is incredible for children and people of all ages, I don’t know what is.